It’s safe if you know how to use properly a pair of clippers. The fact is that different models have their own advantages and disadvantages. So, if you want to make your decision easier, it’s best to consult reviews of the customer first. When it comes to the best dog clippers, we have to mention two brands: Oster and Andis. All of them are famous brands on the market for years. In this article, we will give you reviews of the best Oster dog clippers on the market today. 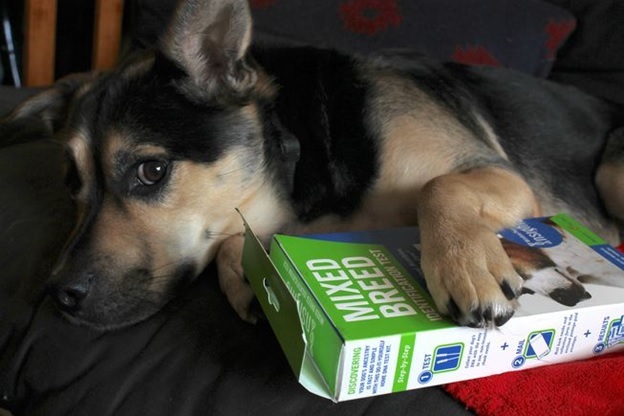 Hopefully, this guide will help you to choose the right ones for your dog’s specific needs. You can easily handle this dog clipper because it’s slim. It’s designed with an ergonomic shape. Compared to the Andis, Oster Pro 3000i makes more noise. Therefore, this product is fine for home grooming. On the contrary, you shouldn’t choose it for professional use. It can make your dog annoyed. Oster A5 Golden is an old fashioned clipper. However, it’s popular for a good reason. If you want to choose a dog clipper for your wallet, consider it since it’s the cheapest professional clipper. This also makes it become a bestseller for home grooming. This clipper allows you to replace all the bits as well as pieces in the clipper. This product makes the same noise as the Oster 3oooi. This unit doesn’t need any more revisions over the last decade. The Oster Turbo comes with two speeds, including 3,000 and 4,000 SPM. Just like some models of dog clipper from Andis, this clipper also is designed with a #10 blade and prolonged used. Actually, this product is a reliable clipper. It promises to serve you well. Some customers have encountered issues with this product. However, it seems to be rare. Most reviews for the model are at about four out of five stars. This dog clipper is available in 2 high speeds, including 3,700 and 4,200 SPM. It’s at the same price as the Oster Turbo. This is a good choice for at-home use. Although it’s a lightweight model, it is powerful enough to cut through the toughest coats. You can consider this product if you are looking for ones for comfort. This model is considered as the sleekest heavy-duty clipper ever. It features incredible torque as well as revolutionary cutting performance. It comes with vibration isolators. It can help to absorb vibration and noise. Therefore, you can use it comfortably all day long. The clipper comes in three speeds, including 3100, 3600 and 4100 SPM. So, it’s easy to adjust to suit your needs. This clipper is a compact trimmer for dogs from Oster. With this clipper, you can quickly trim around your pet’s face, paws, ears, and even sensitive areas. It is designed with a safety guide comb attachment, a blade-cleaning brush, and cleaning oil. It’s easy to use because it has a compact design. So, you can hold it easily in your hands. With this model, you can trim your dog indoors or outdoors. It comes with tug-free blade, blade-cleaning brush, safety guide comb attachment, and blade-cleaning oil. This model is designed with durable blades made of carbon steel. Also, it offers built-in microbial protection. It allows you to easily cut through your pet’s hair without pulling or tugging of the hair. This clipper can work well on feet, pads, as well as other narrow areas. It’s a powerful model. It’s perfect for large dog breeds thanks to a 150 watts motor. It can be able to cut through any type. Furthermore, it’s a cool running, so you can easily use it for full body clipping. Actually, it can run about 3000 strokes per minute. Moreover, it’s easy to adjust its blade. The Oster Cordless Power Clipper is used by professional groomers as well as vets. It’s recommended highly by consumers. It offers 2-Speed turbo feature. It comes with a powerful rotary style motor that can run for 2 hours. The clipper is packed with 4 guide combs, cleaning brush, instructional DVD for the home grooming, oil, and plastic storage case. Depending on your dog breed, you can need different setups. For example, if you have a poodle, you need a heavy-duty clipper. Then, you can consider choosing a suitable dog clipper for his thick coat. It’s important to pay attention to your blade size. Choose one depending on how long your dog’s hair is. We recommend you to choose #10 because it’s the most commonly used blade for dogs. We have to admit that it’s really not easy to groom your dog at home regardless of any clipper you use. In fact, you even have to take several hours to complete. It depends on your dog’s size. To sum up, we’d like to close off with some points. Hopefully, they are helpful to you. First, if you want to choose a heat resistant clipper, look for ones made of ceramic blades. If you choose ones made of metal blades, it can become hot over time. All of the clippers we’ve mentioned above are highly versatile. 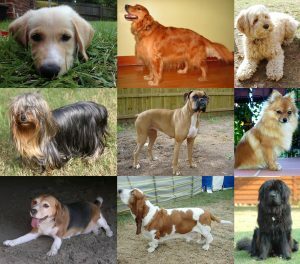 They are able to work well on dogs of many sizes and breeds. A powerful dog clipper can help you cut through your dog’s hair. So, it’s a bad idea to settle for a low-quality brand. Instead, you should look for a quality clipper. If you still don’t know exactly what clipper you need, take a visit to a local groomer. He can help you. 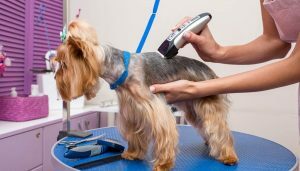 When it comes to choosing the best dog clippers, there are many models of cordless grooming tools. They are actually a helpful choice for you. Because they come with no cord, you can get more freedom of movement. They allow you to deal with awkward places. Nowadays, these models are not only basic trimmers. However, these clippers are not always the right for you. You may want to choose a cordless pet clipper, but not sure what is the best to choose. 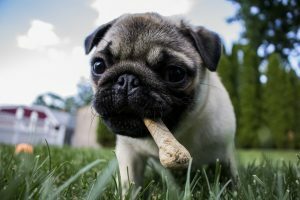 Let’s take a look at this article for the list of best cordless dog clippers. At the same time, we also give you other important info about cordless dog clippers. First, it’s important to consider the battery between different models. Then, determine the time they can last after one charge. Also, learn about how long you need to take to charge it. We advise you to choose a charging dock with LED indicators. The next factor to consider is the weight of the device attached the battery. It’s best to choose a lightweight model. Then, consider the settings. Last, don’t forget to check for its vibration, noise, and heat. Normally, a cordless dog clipper is made with a charger. So, you needn’t worry about replacing batteries. In fact, these devices are more convenient. You can easily use them without thinking about the cord getting tangled around your pet. You can find different speeds in some dog clippers. They include both higher speeds and slower speeds. So, they are ideal for not only the body but also delicate areas such as the face and ears. Depending on your dog’s fur thickness, you can choose the right speed. Many dogs don’t like to expose to the loud sounds some dog clippers make. Therefore, if you choose a loud motor, it can cause pain for both you and your pet. However, don’t worry! There is a wide range of dog clippers that come with quiet motors. They are designed especially for nervous dogs. For a large and fluffy dog, you may have to take a while to finish your grooming. This is the main reason why most dog owners don’t like to work with heavy clippers. It’s better to look for lightweight ones instead. They are great for longer grooming sessions. In general, most dog clippers are made of stainless steel and ceramic. Besides, they also may be mixed with chrome, carbon, silver, and titanium as a finish. We recommend you to choose ones made of carbon-infused steel. These clippers can be able to be hard and stay sharp longer. Choose a clipper made of silver because of its anti-microbial properties. Then, you won’t worry about bacteria, mold, and mildew. Ceramic can be more heat resistant than steel. Most dog owners love to use a cordless clipper. These models are more convenient. Also, they allow you to easily reach awkward places. This is the main reason why cordless dog clippers are popular. However, these clippers are not perfect for everyone. They can be able to groom your dog quickly at home. However, they are more suitable for smaller breeds. Their batteries are also limited. If you want to groom a big dog, you need to take several hours to recharge the device. In fact, they come with weaker motors that help to conserve energy. Therefore, if you are looking for a clipper for thick coats or mats, it’s better to choose a corded clipper. In conclusion, corded clippers are more suitable for those who have big dogs. Not all pet owners care to groom their dogs themselves. 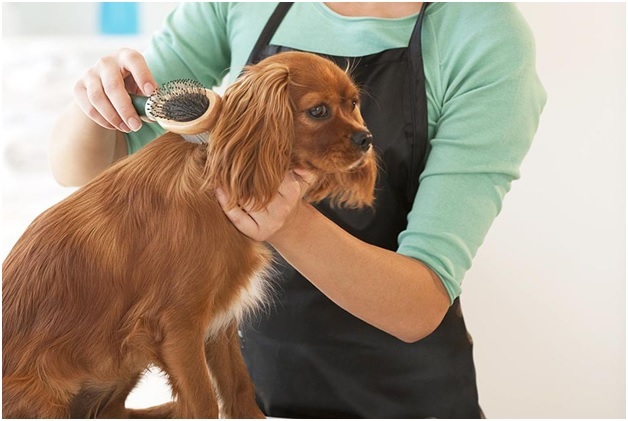 It’s a great idea to consider the DIY grooming for owners who have multiple dogs. They need to groom their dog regularly. This way helps them to save a bit of money. Moreover, this way also allows you to bond with your pet. You can control your dog when grooming your pet by yourself. Indeed, you can comfortably trim your pet’s hair the exact length you want. In addition, this is also a great option for those who have dogs that don’t like noisy clippers. However, it’s a terrible thing if you decide to use human clippers on your dog. These devices may pull a dog’s hair. As a result, he will be painful. 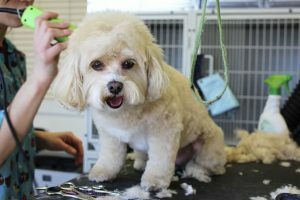 If you want to groom your dog, you also need to take more times than clipping a person’s hair. Therefore, you need ones that don’t overheat as quickly. Before you decide to groom your dog, there are some important things you need to do. First, it’s important to wash and brush his fur. It’s to handle any tangles or clumps. To do this, you need a clipper, a brush handy, as well as a comb. 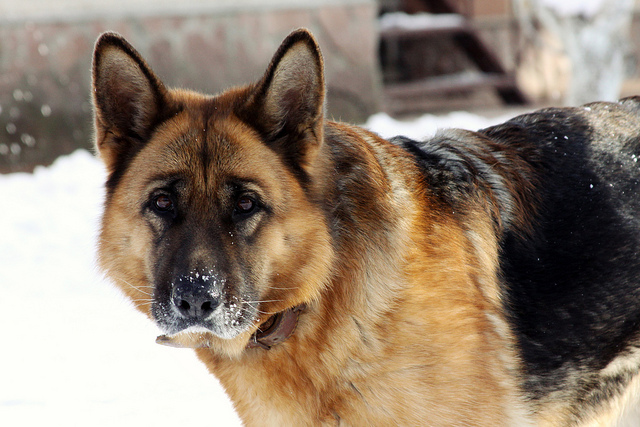 The blades need to be checked before getting started in order to avoid pulling on your dog’s fur. Don’t forget to clip your dog’s hair in the right direction from the neck working to his back leg. Then, switch! Listed below are 6 of the best cordless machines for dogs today with their reviews. Make sure you learn about them before you make your buying decision. Depending on your needs and your budget, you can choose the right ones. Don’t buy an ultra-cheap model. It may be useful. Also, it can allow you to trim small areas quickly. However, these models are less durable than the best models. Besides, a cheap model can also offer loud noise and heat during grooming. So, it’s better to spend a bit more on an expensive dog clipper. When it comes to cordless dog clippers, our top pick is the Oster Pro 3000i. This is a stylish dog clipper. It comes with a lithium-ion battery. It can be able to last for two hours after a full charge. Also, this is a durable dog clipper. It’s designed with a #10 blade that fits all Oster A-5 blades. So, this is a good choice for grooming the face, ears, and stomach. However, it’s essential to buy other blades as well as combs when needed. This dog clipper is actually one of the most expensive machines. However, it’s great for not only home use but also professionals. It’s easy to use. Also, it’s a lightweight option for owners. If you are looking for the best, consider getting this clipper. This clipper is famous for its quality and power. This machine comes with the quiet operation. It can be able to run for 2 hours. It’s designed with an ergonomic shape. You only need to charge it within 15 minutes. Furthermore, the clipper has a tough self-sharpening blade. In addition, this machine comes with scissors, comb, the charging ware, as well as series of attachments. So, you can use it for different types of coats. The Wahl ARCO SE Professional clipper is a good choice for your wallet because it’s affordable. You can use it for extended periods. It offers a shorter run-time. In fact, it can run for 80 minutes. However, there are two battery packs. Therefore, you can swap without waiting for the first to charge. You have to take only 75 minutes to charge it. If you want a clipper to handle small areas like the face, this machine can help. However, it’s not perfect for thick coats with mats. It’s very quiet. Plus, the clipper comes with a set of 5-in-1 detachable blades. So, you can easily switch between them. The machine offers customers a one-year limited warranty. The clipper is available in several colors such as pink, purple, and champagne. For more convenience, we suggest you buy the attachment combs in addition to the adjustable blade kit. However, the product has some drawbacks. First, it’s not a good choice for large dogs. Then, many owners complain about the lack of a lithium-ion battery. Like the previous option, this clipper is also a good choice for your budget. It comes with a lithium-ion battery. Moreover, it also comes with a rotary motor. This is also a lightweight option. If you are looking for one’s formats, this is a great consideration. It offers a relatively low 2400 SPM. So, you can easily cut thick hair as well as mats. You can use it for two hours after a full charge. Even when its battery gets lower, the power still doesn’t decrease. So, it helps to avoid pulling on your pet’s hair. Furthermore, its battery is detachable. This machine is a good choice for thick and matted hair. It’s ideal for extended grooming sessions. However, it’s not a solution for speed. This machine is a rechargeable dog clipper. It is listed as a machine for a light duty grooming. Their blades are made of titanium. However, the forefront of the specification doesn’t include speed and power. This clipper ensures to offer a grooming kit for anxious dogs. In fact, it comes with a whisper quiet motor due to a lack of vibration. Although this product is not the most efficient clippers around, it can help owners to save their time. Also, it promises to provide your dog with happier grooming. In addition, the clipper offers the added bonus, including attachments, combs, as well as scissors. This machine is listed as the last of our favorite clippers today. This product comes with pretty much the same kit like the ARCO. In fact, it has the same soft carry case. In addition, there are also the same attachments. Moreover, it’s designed with blade oil. For this dog clipper, you only need to take 60 minutes to charge it. However, it can work for 90 minutes. Because it’s available in a much more ergonomic shape, you can use it with full of comfort. Plus, it’s a good choice for nervous dogs due to the lack of noise and vibration. Also, it offers a constant speed of 5,500spm. It’s a good choice for small to medium dogs. These above cordless clippers are the top-rated rechargeable dog clippers on the market today. Now, it’s time to decide the right one for you. We recommend you to compare their reviews as well as specifications to choose the best one for your dog. Our top recommendation is the first mentioned product, the Oster Pro 3000i. It’s a powerful machine that is perfect for cutting almost any coat. Also, it comes with long two-hour battery life.